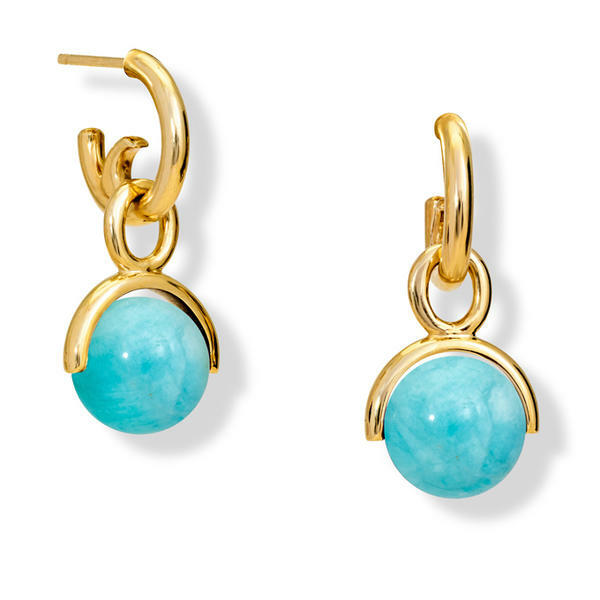 Stirrup earrings in 9ct yellow gold set with amazonite beads (10mm). Inspired on riding stirrups. From Cassandra's classic collection.